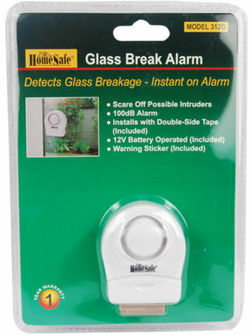 The glass alarm can also be used as a personal property alarm to protect computers, TVs, stereo's, cabinets, etc. 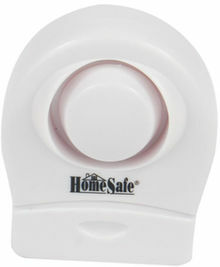 Includes one 12V(A23) battery and strong adhesive tape. Turn the switch on the side to the ON position. When the glass is hit, knocked or broke by anyone, the siren will sound for approximately 30 seconds and then shut off and reset.